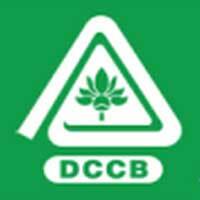 Adilabad District Cooperative Central Bank (Adilabad DCCB) Limited has announced recruitment news for the post of Staff Assistant/ Clerk and Assistant Manager. Candidates who are interested in this job may apply on or before 19th October 2015. Education/ Qualification: For the post Staff Assistant/ Clerk candidates must possess Any Graduate Degree and knowledge of English and proficiency in Telugu language. 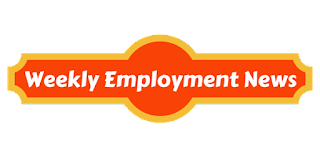 For the post of Assistant Manager Candidates must possess Graduate degree in any stream with 60% marks or in commerce stream with 55% marks, candidate must have good proficiency with English and Telugu language. Salary/ Wages: Salary of Rs. 5450- 300/2- 6050- 350/4- 7450- 400/3- 8650- 500/4- 10650- 550/4- 12850- 650/5- 16100- 700/1- 16800/- per month for Staff Assistant/ Clerk post and Salary of Rs. 6400- 350/3- 7450- 400/3- 8650- 500/4- 10650- 550/4- 12850- 650/5- 16100- 700/4- 18900- 750/1- 19650/- per month for the post of Assistant Manager. Fee: Fee of Rs. 500/- for General/ BC categories and Rs. 250/- for SC/ ST/ PC/ Ex-S categories. Procedure to apply: Candidates interested in this may apply online at the website address given below. Kindly take the print out of job application for future reference. Important date to remember: Last date to apply for this job is 19th October 2015; date of online test is in November 2015. Follow the link given below for more information.